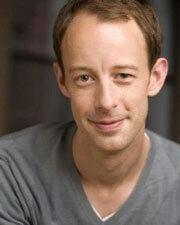 Jason Bohon is a New York based actor, director, and theatre-maker. He has worked with Connecticut Repertory Theatre, New Jersey Shakespeare Festival, Shakespeare & Company, Theatre de la Jeune Lune, The Children’s Theatre of Minneapolis, Theatre Latte Da, Kansas City Repertory Theatre, and the Minnesota Orchestra, to name a few. He is the Producing Director and Artistic Associate of the award-winning Split Knuckle Theatre Company, where he has created and toured original works to London, Paris, Bangkok, Athens, Prague, the Netherlands, Frankfurt, and Brussels. Split Knuckle’s work was recognized in the May 2011 American Theatre Magazine article “The Americans Are Coming.” He is a member of the Actors Equity Association, the Stage Directors and Choreographers Foundation, the Network of Ensemble Theatres, Association of Performing Arts Presenters, the Association of Theatre Movement Educators, and the Lincoln Center Directors Lab. He was also the Founding Artistic Director of Three Sticks Theatre Company in Minneapolis from 2005-2010, where he created and toured original devised works around the USA and Canada. Jason has been in-residence as a guest director, teaching artist, and instructor at numerous colleges and universities, including the University of Minnesota/Guthrie Theatre, University of Central Missouri, University of Massachusetts at Amherst, Texas A&M University, Oklahoma State University, Albright College, South Dakota State University, and Johnson County Community College. He recently served for two years as a Visiting Assistant Professor of Theatre at Drake University in Des Moines, IA, where he directed Tennessee Williams’ A Streetcar Named Desire and George Feydeau’s A Flea In Her Ear. He is a Communications Consultant with a New York based communications firm, Exec/Comm, where he teaches business presentation and interactions skills. He holds a Master of Fine Arts degree in Lecoq-based Physical Theatre from Naropa University in cooperation with the London International School of Performing Arts, a Bachelor of Fine Arts degree in Acting and Directing, and a Bachelor of Arts degree in English Literature from the University of Central Missouri. In addition to his passion for theatre and movement, Jason is a yoga enthusiast and teaches yoga and meditation at New York Yoga, Life Time Fitness Sky Athletic, and ISHTA Yoga Center. He holds a 500-hour yoga teacher certification from ISTHA Yoga Center, and is 500-RYT with The Yoga Alliance.